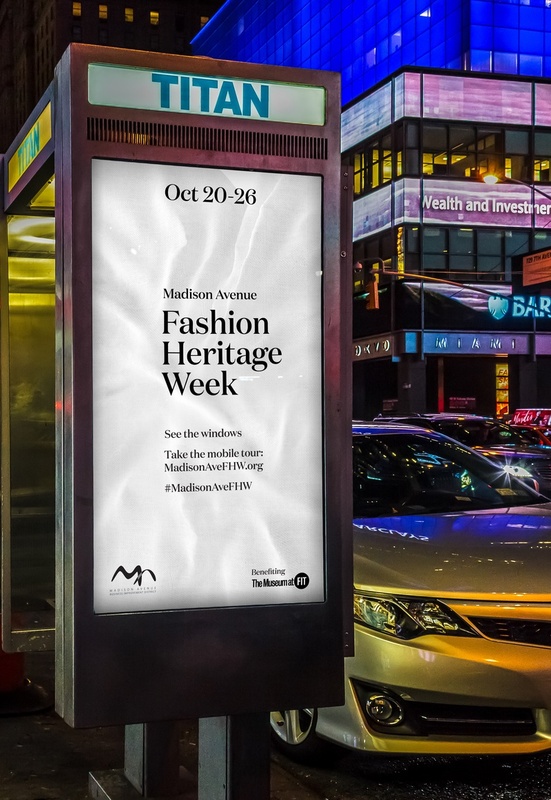 C&G Partners' event design for Madison Avenue Fashion Heritage Week was honored with a SASI-ONE 2014 GOLD Award (SASI = Shop America Salutes Innovation) for shopping and cultural tourism marketing excellence. 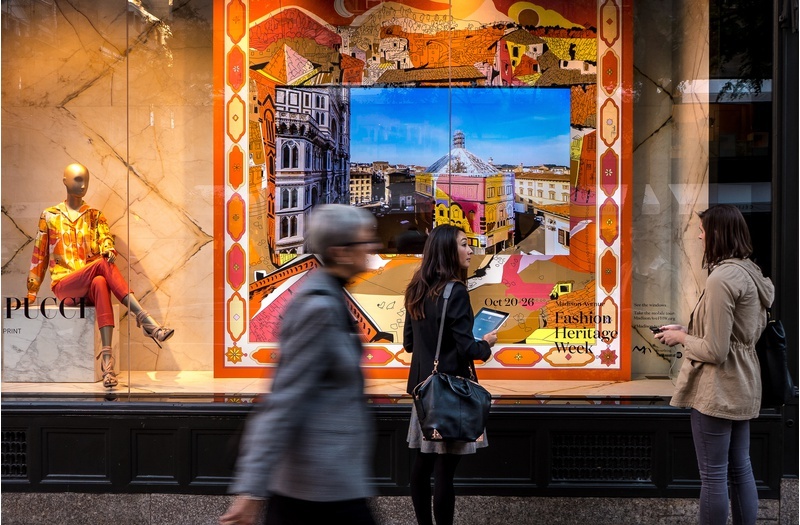 SASI-ONE Award winners are campaigns that have demonstrably promoted shopping, dining and/or cultural heritage experiences as tourism activities in a creative or innovative manner. Hosted by the Madison Avenue Business Improvement District, the weeklong event brought together 16 top fashion brands on Madison Avenue to raise money to benefit The Museum at FIT. 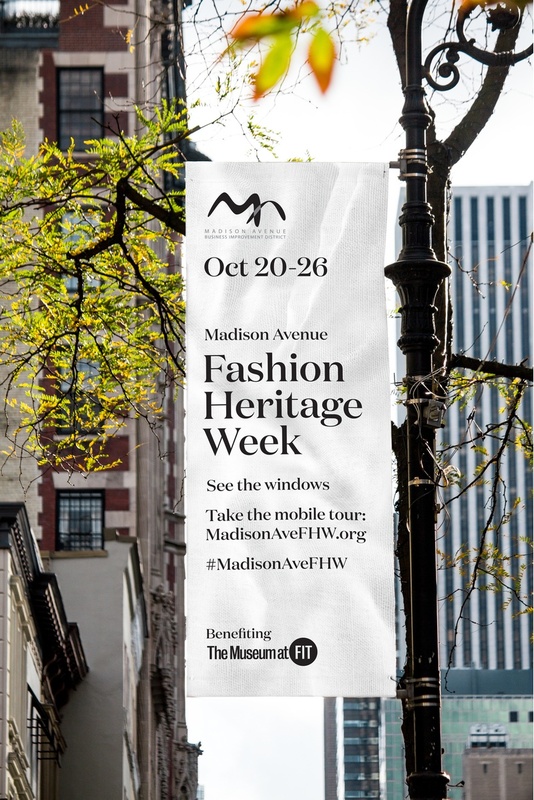 October 20 – 26, 2014 was officially proclaimed by New York City Mayor Bill de Blasio to be Madison Avenue Fashion Heritage Week. Brands curated a special window display in their Madison Avenue boutique highlighting their unique heritage. C&G designed the event’s graphic identity, which can be seen on banners, bus shelters and animated telephone kiosks around the city. 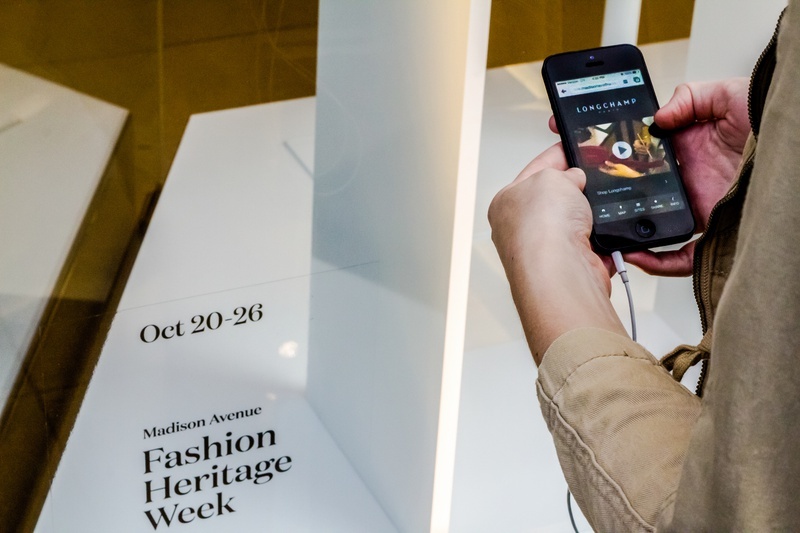 In addition, C&G produced a mobile app to accompany Madison Avenue Fashion Heritage Week’s window displays. The app provides a behind-the-scenes glimpse into the event, and each brand’s heritage story.